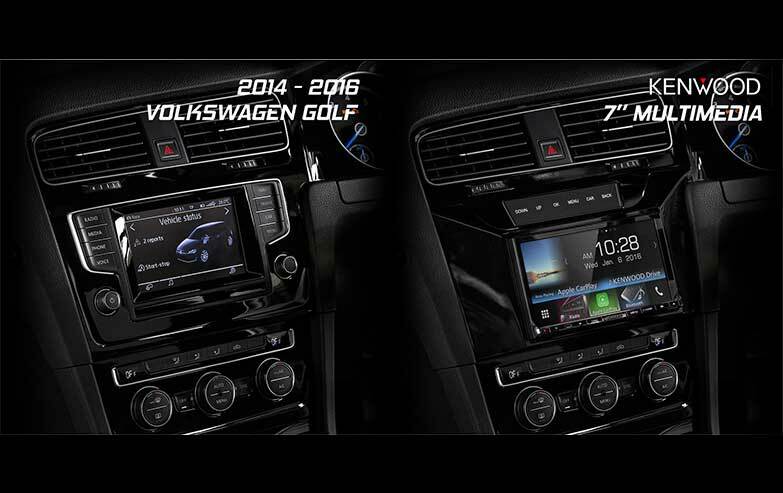 High-end AV Navigation System with HD Display. 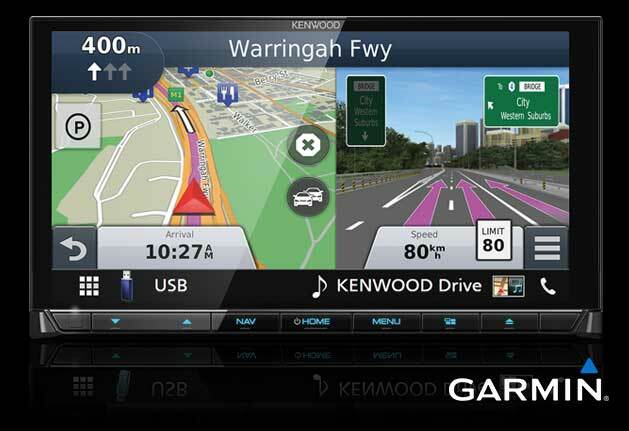 Equipped with the industry-leading Garmin navigation system, offering a variety of display options such as Photo Real Junction View and Lane Assist to make your driving easy. 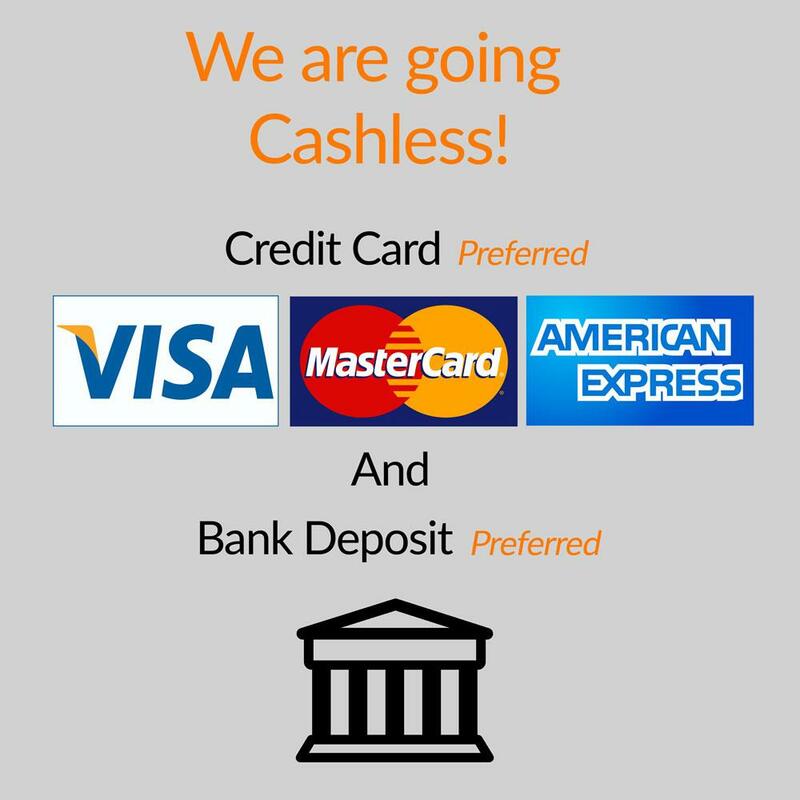 *These functions may not be available in certain markets/countries. The most colorful, beautiful display KENWOOD ever. The new 9 series is powered by Cortex A7 and dual-core processors. 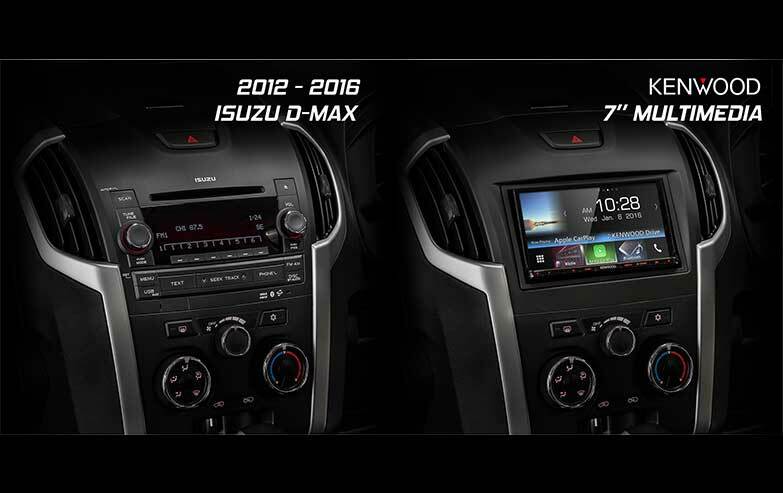 The high-performance architecture is designed to provide the exciting in-car experience without any stress. The new 9 series provide the best performance when you need it. 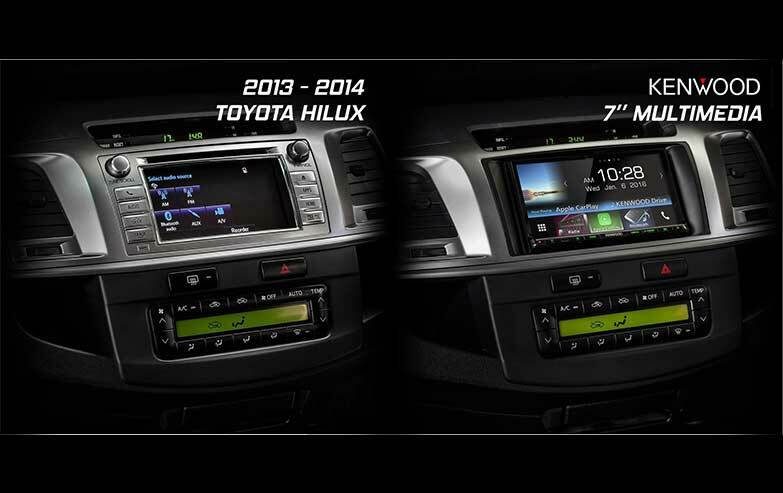 High-Resolution Audio is high-quality sound that exceeds CD standard. With increased expressive power, the delicate details from the ultra-high to low frequencies can be reproduced. You will experience the deep impression as if you were in a concert hall. 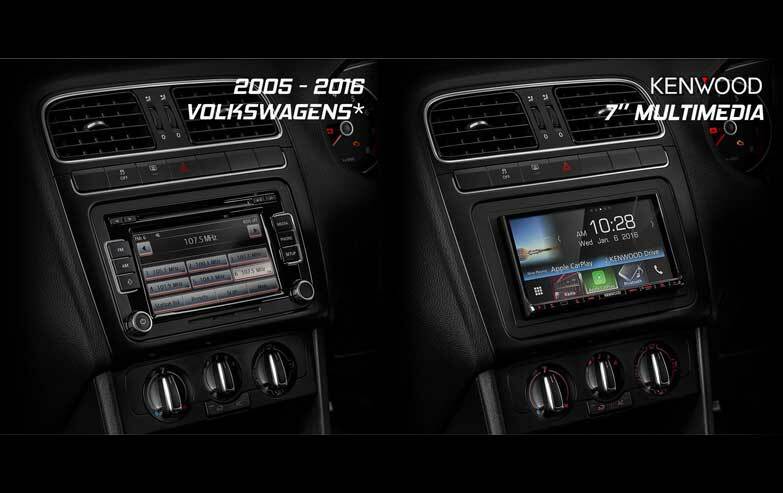 To ensure the best possible sound quality, the receivers use custom-made and carefully selected parts, such as audio quality power supply capacitors, high-quality coupling capacitors, and cross-shaped panel structures. These parts are further optimized through meticulous tuning of the component values and circuit paths. 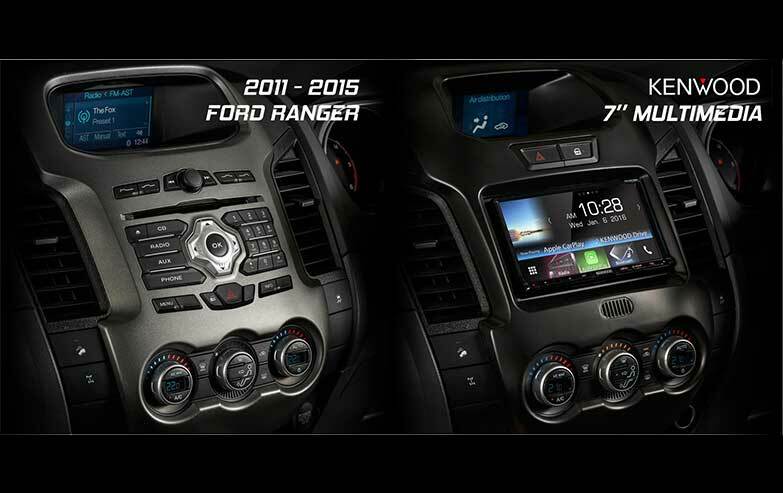 Android Auto is a simpler way to use your phone in the car. Connect your phone to the receiver and use Google Maps, Waze, etc. 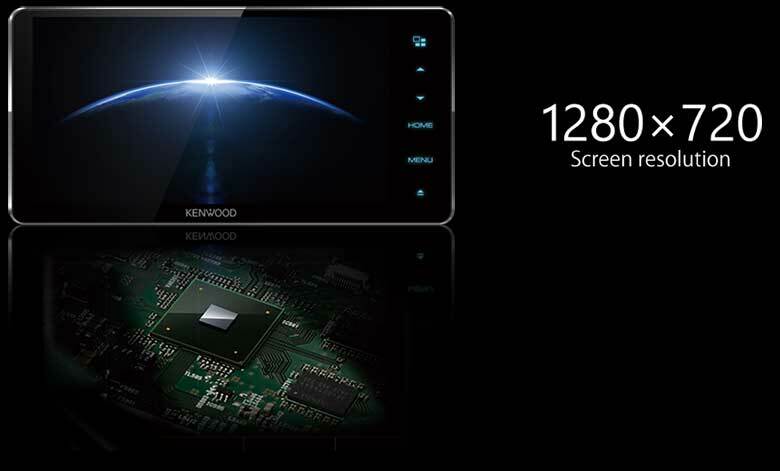 A groundbreaking solution for seamlessly displaying your smartphone apps on a 9 series screen without cables or a network connection. Ability to control Spotify from your iPhone via USB/Bluetooth or from your Android via Bluetooth to enjoy millions of songs you like. 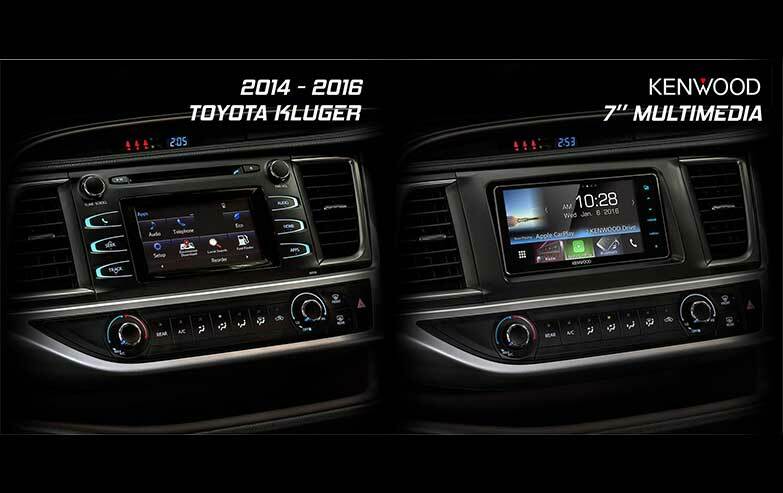 Up to 5 Bluetooth® devices can be connected to the head unit at the same time, and you can enjoy audio streaming just by switching the devices at the touch of a button. 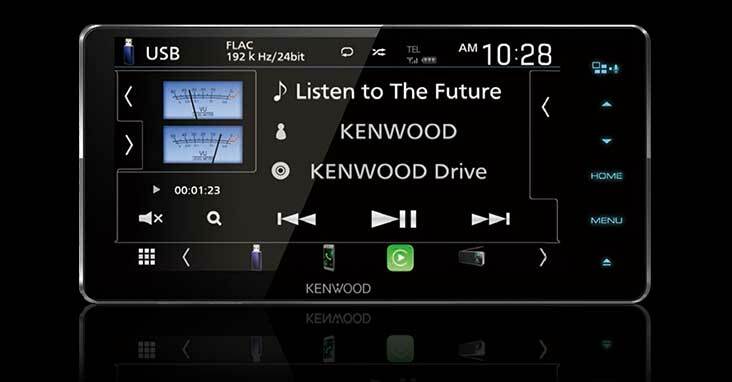 KENWOOD Bluetooth models automatically switch the paired 2 phones for incoming calls. 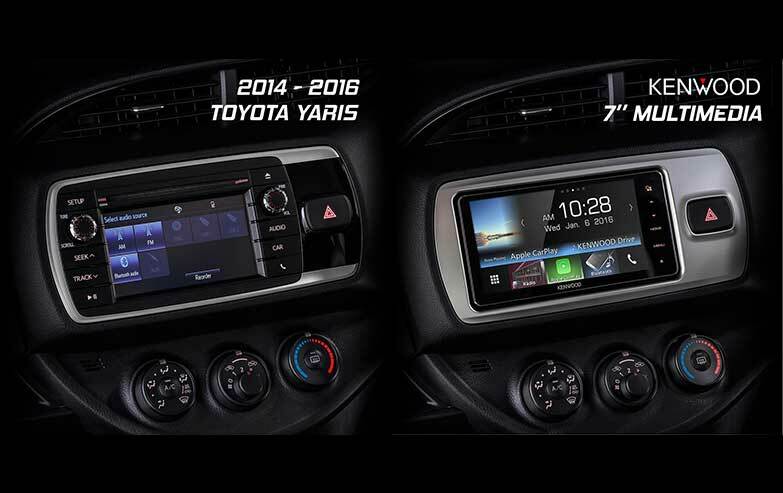 Also, include better quality reception using the Wideband Speech Hands-free Profile 1.6. You can playback from USB devices audio and video files compressed in various formats. In addition, you can rapidly charge your smartphones up to a maximum of 1.5A. 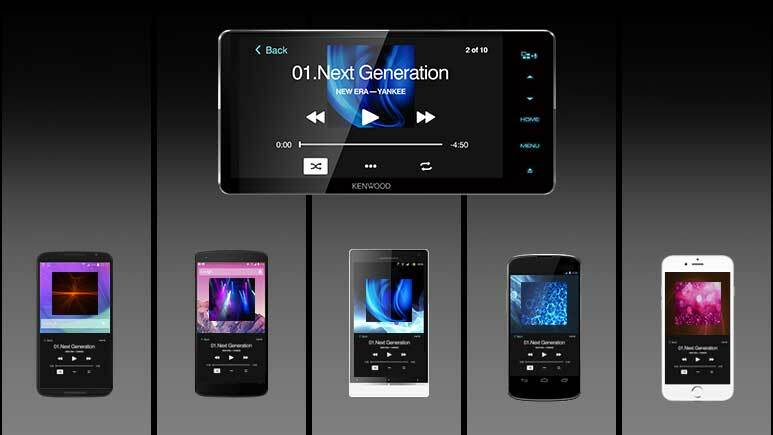 2-way touch communication with High Definition Around View Monitoring System made by Whetron. 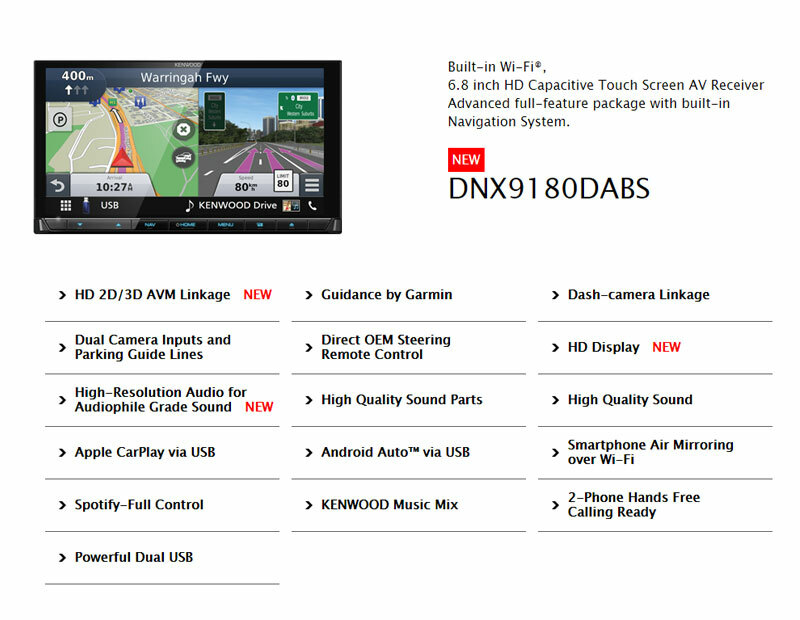 Dash Cam ready receivers are compatible with the DRV-N520 Dash Camera. 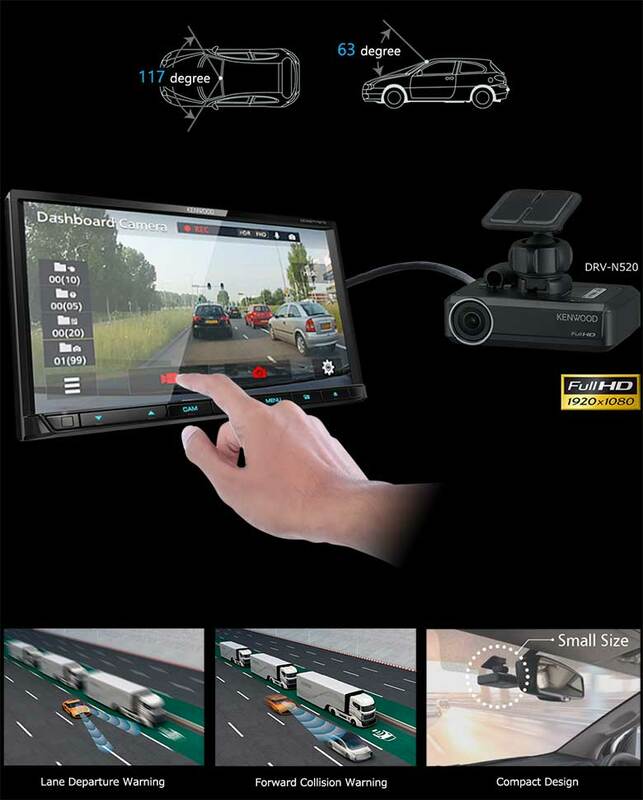 The camera records in full HD video capturing every event that occurs on the road ahead, and also provides safety features such as collision avoidance. 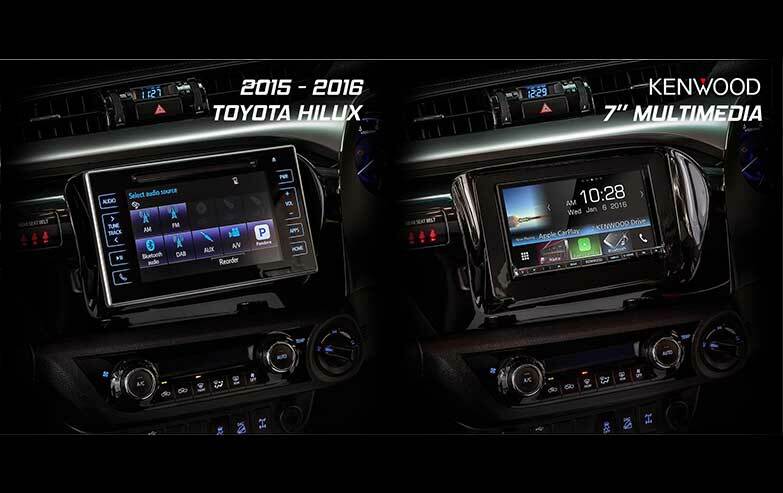 Two Camera inputs for Front and Rear cameras. 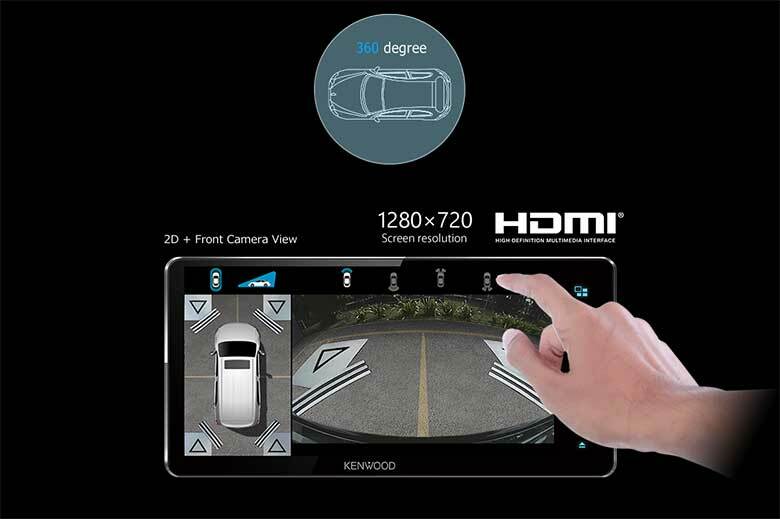 Parking guidelines appear on any standard backup camera image, making parking safer and easier. 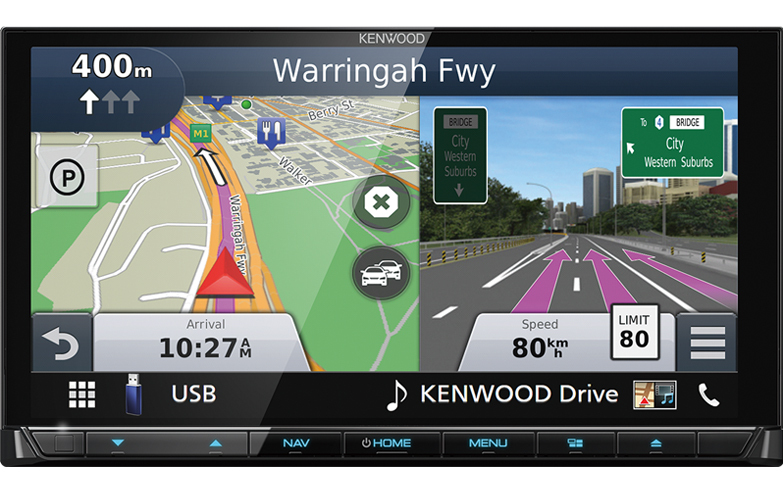 It allows to set up easily the third party’s navigation box.